This afternoon, on the way home from work, I was contacted by a local school. 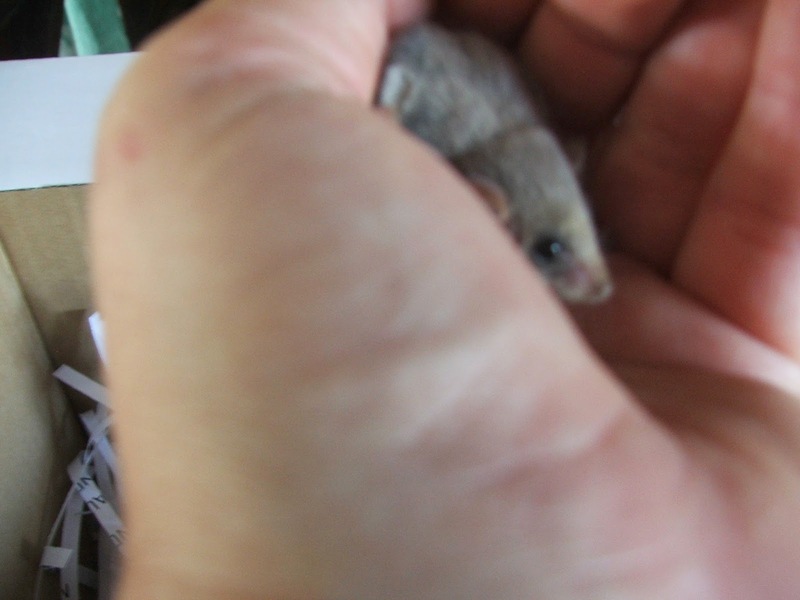 They had a tiny little Feathertail glider in a box; apparently she (it’s a girl) had glided down into assembly this morning. When I got home (a half hour bus ride and a 1 km walk later) I opened the box to see what I had. She is a juvenile female (weighing in at just 7 g) and seemed fairly active and bright to me. I put a shallow dish of water in the box and some gum flowers from the trees outside, snapped some quick photos, weighed her and had a look to see what gender she was. Then I popped her back in the box and left her in peace while I rang WIRES. 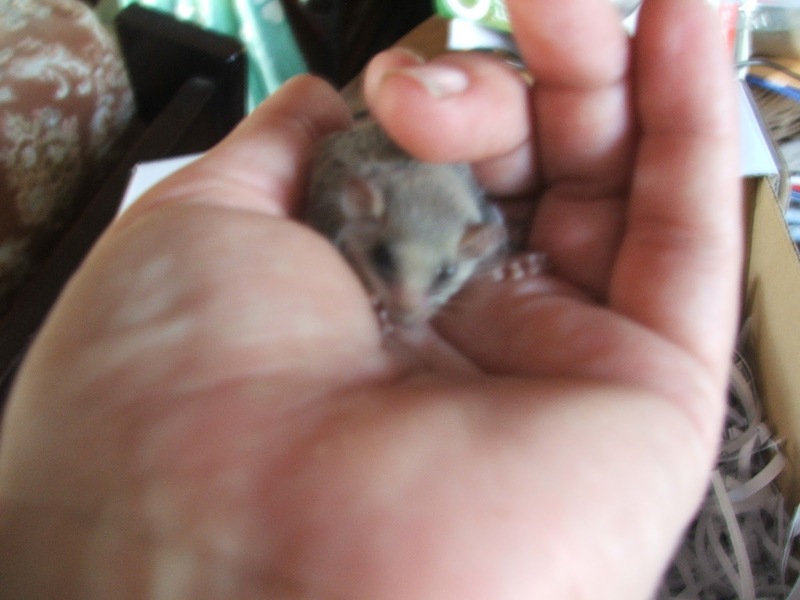 The Feathertail glider is the smallest gliding mammal in the world, with an average weight of 12g. They feed on pollen, nectar, insects and seeds. In this area they are fairly common, often being found drowned in dogs water bowls or bought in by cats. I think this one was probably heat effected as it was a burning hot day. Heat stress kills a lot of native animals, especially those who live in urban areas (like in the school buildings). This little girl will be handed over to a wildlife carer and hopefully will be released back into her home territory before too long. 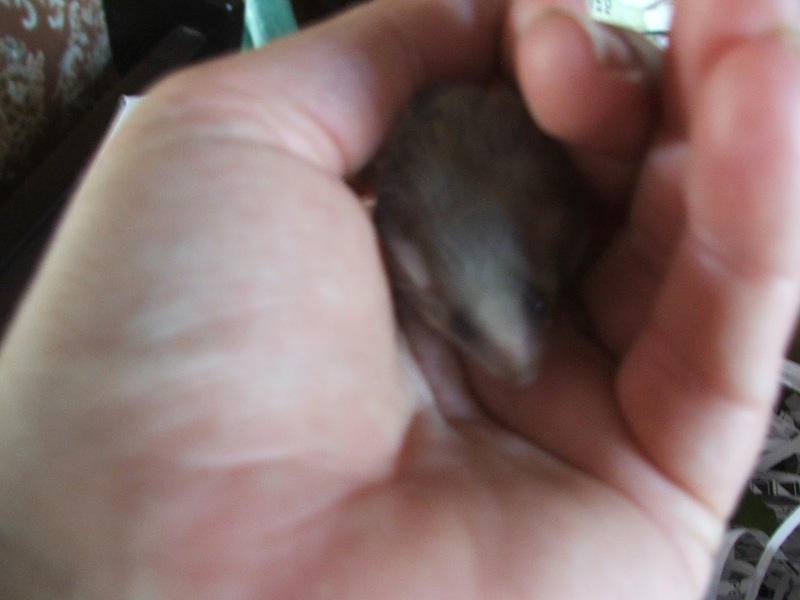 Blurry, but I was trying to prevent an escape. Look at that feathery tail. The curling indicates distress, and who can blame her; a big predator has her. 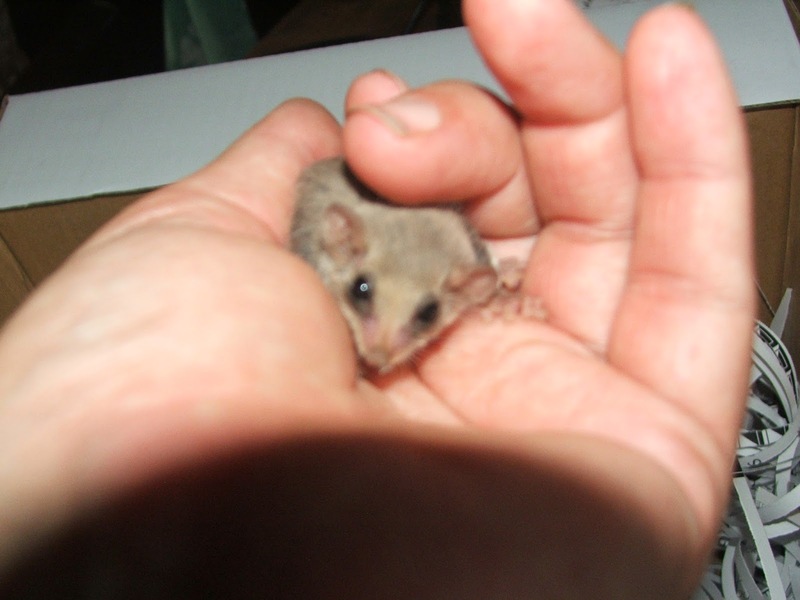 If you have Feathertail gliders in your area you can put out SHALLOW water containers, plant flowering native shrubs and (most importantly) bring in the dog and cat at night. 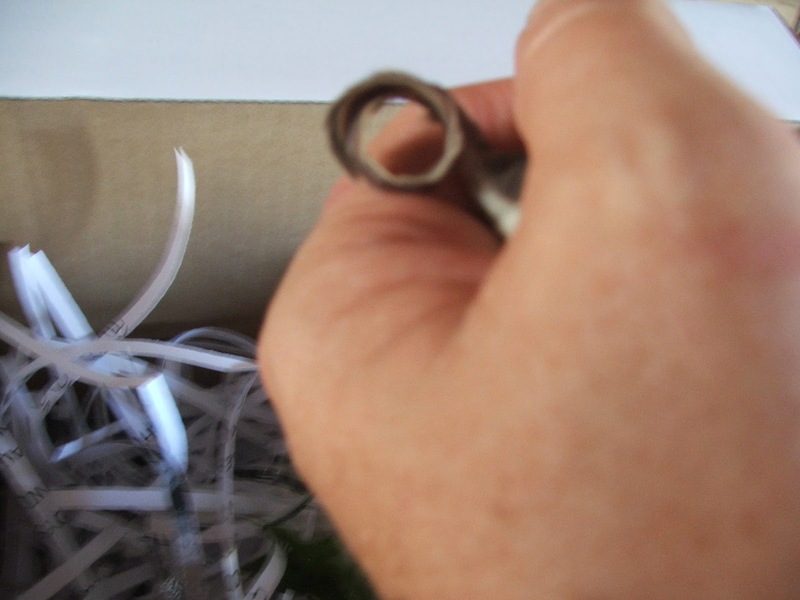 Oh, and thank you to the little girl who held the box so carefully for me all the way home (you know who you are).